Time is a funny thing. For those of us who don’t live at the quantum-level scale, time moves like an arrow in a forward direction. Business decisions move along the same direction. Your business can’t move forward if you lose your sense of temporal direction. The best thing about the coming collapse of many industries is this: if you’re smart and ballsy and willing to offer things of value and meaning to others over a long span of time, you’ll do well. If, however, you program yourself for doom, your doom will be automatic. You’ll be a slave to the doom-machine in your own head. Should we be furious about the stupidity of a certain class of consumers? Yes. Should we be furious about the failure of our auditors? Yes. Should we be furious about the costly ignorance of our political system? Absolutely. 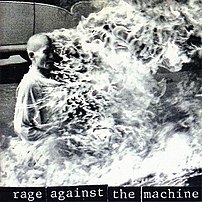 Rage against the machine is perfectly justified. Rage, no matter how deserved, doesn’t accomplish nearly as much as fortitude. Time doesn’t go backwards and nor should your focus. Time, like an arrow, flies forward (duh). If you want to get through the recession or depression or whatever the hell is in store for us, you need to move forward too. Nothing lasts forever. Time has no time for it’s own long tail. And, frankly, nor do you.